I read Traitor Angels a couple of weeks ago and, once again, I was extremely impressed by Anne Blankman's ability to take actual historical facts and figures and weave them into a fictional tale. It was a really well-paced story about a girl who finds herself racing against time and circumstance in order to uncover the secret that her father has been keeping all this time, and I don't doubt that there are many readers who will enjoy it! 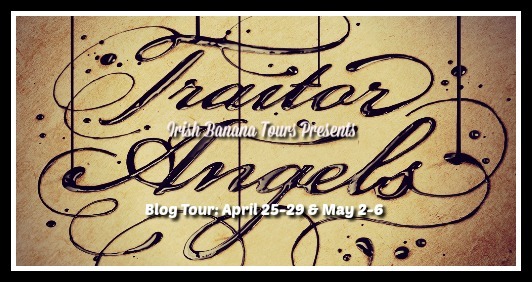 I'm really happy to be a part of the blog tour for Traitor Angels, and very honored to have Anne Blankman answering a couple of questions. Alexa: Hi Anne! Welcome to Alexa Loves Books. I’m thrilled to have you on the blog today! To begin, let’s talk about historical fiction. What do you love most about reading this particular type of book? Writing this type of book? Anne: Thanks so much for having me, Alexa! I love reading historical fiction because it sweeps me into another time and place. It’s an escape. Writing historical fiction is so challenging for me because I get obsessed with research and the tiniest details possible—but I also love it because I learn so much! Alexa: What is your favorite historical time period to read? To write? Anne: Ooooh, I don’t think I can choose just one. My favorite time period tends to be whatever I happen to be reading or writing about at any particular moment. I’m a history nerd, and I love learning about lots of different eras. Recently, I’ve been reading about Puerto Rico during the nineteenth century. My paternal ancestors immigrated to Puerto Rico from Spain in the 1800s, when it was a Spanish colony. Learning about Puerto Rican history has been a wonderful way to get in touch with my roots. Alexa: How do you choose what era to focus on in your novels? Do you think of the historical figure first or the setting or the event? Anne: I love this question! Something different has triggered each of my books. I came up with Traitor Angels when I was in college and took a class on English poet John Milton. I learned that he had secretly met Galileo after the latter had been sentenced to house arrest by the Italian Inquisition. My daydreams about the men’s possible conversations eventually grew into this story. Alexa: Tell us a little bit specifically about Traitor Angels. What was your favorite thing about writing it? The hardest thing? Anne: Writing it was an absolute joy. For a long time, I’ve wanted to write a fun romantic historical adventure with a scavenger hunt whose clues are hidden in literary masterpieces. My favorite part was fitting all the different pieces of this story together—the clues, the poems, the real-life events that the story revolves around, the romance. The hardest part was getting all those pieces to fit! Concealing clues in a real-life literary masterpiece without changing a SINGLE word of that masterpiece was quite a challenge! Alexa: Apart from your own fabulous historical fiction YA novels, what others would you recommend to readers? Anne: Thank you for calling them fabulous. :) There are so many great YA historical books that it’s hard to select only a few. Some of my favorites are A Northern Light by Jennifer Donnelly; Summer of My German Soldier by Bette Greene; Shadow in Hawthorn Bay by Janet Lunn; and Letters from Rifka by Karen Hesse (this is middle grade and so wonderful and heartwarming that I still get teary-eyed every time I read it!). Alexa: What can we look forward to next from you? 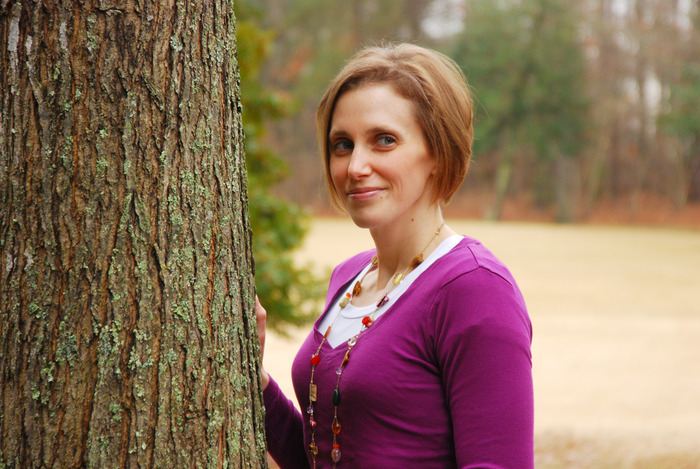 Anne: I’m working on a project that I’m not allowed to talk about yet, but I can say that it’s VERY different from my first three books—and I’m super excited about it! Thanks so much for having me, Alexa! 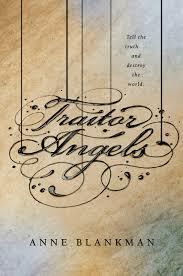 Thanks to lovely people at Harper Collins, there are three finished copies of Traitor Angels up for grabs! The giveaway is US ONLY and you only need to enter via the Rafflecopter form below. Good luck! Don't forget to check out the other tour stops!